In town Location (and convenience) paired with Lake Hartwell Living - You just can't beat this! 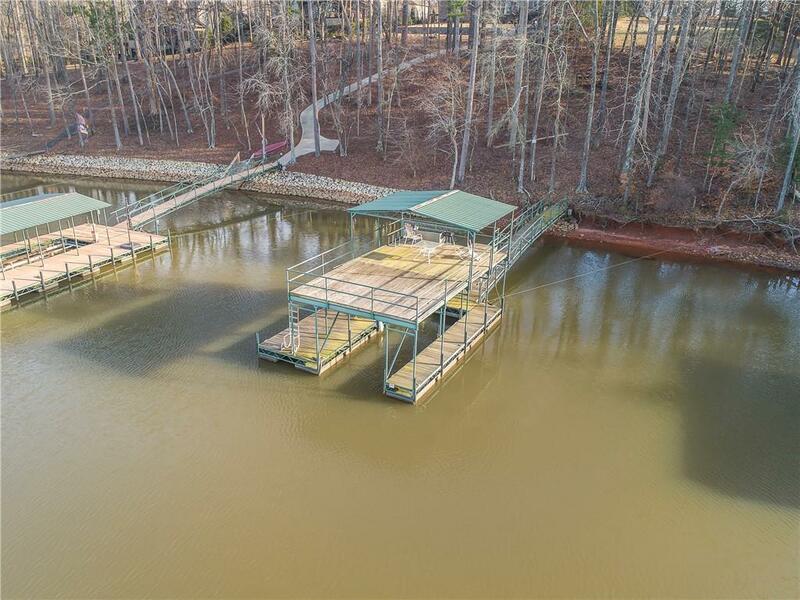 This is the last waterfront building lot left in this upscale GATED Lake Hartwell community. Lot is cleared and very gently sloping. One Slip Double Deck Dock is in place and on good water! Beautiful surrounding homes! Mature leyland cypress trees on both sidelines provide nice privacy. Community Pavillion can be accessed by golf cart at the far left end of Beamer Dr. where you'll find a nice covered picnic shelter, Grill & community Boat Dock. Just minutes to I-85, grocery, and all of the conveniences that Anderson has to offer. ATTN: THE COMMUNITY GATE STAYS CLOSED AT ALL TIMES. PLEASE CONTACT THE LISTING AGENT 864-314-1058 FOR ACCESS CODE.